Another better late than never rundown of our favourite albums released in the past year. It was certainly another big year for jazz, particularly for UK based artists, with CF favourite Shabaka Hutchings featuring on two of our selections as a guest, but also via his first album leading his own band The Ancestors. 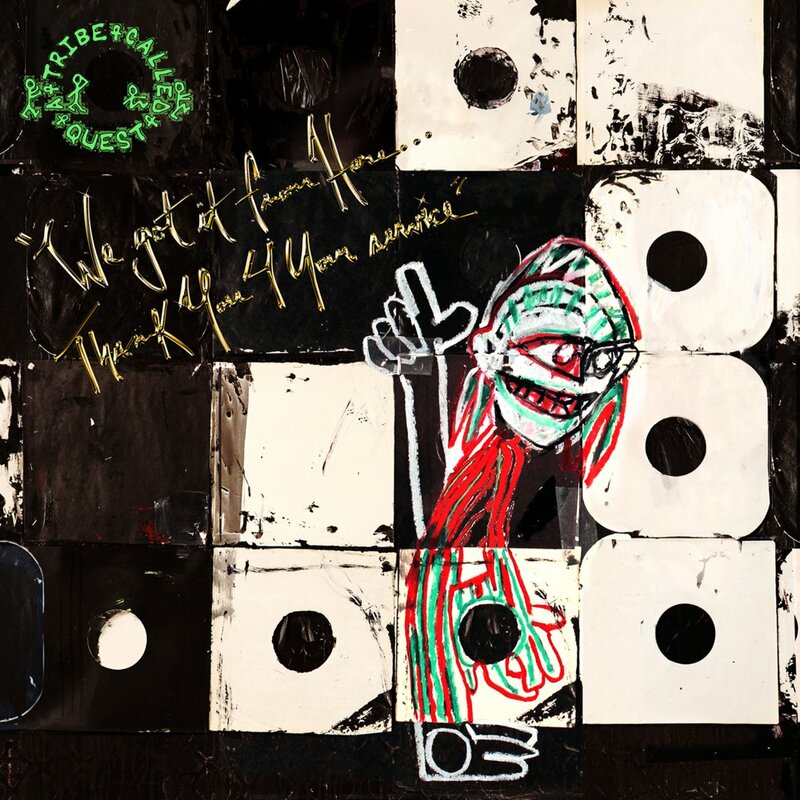 We also dug a trio of unexpected returns from ATCQ, Azymuth, and Jah Wobble; and you’ll also find some of the biggest and most talked about albums of the year by BBNG, Solange, and of course Anderson Paak. This year, we also asked our friend Dane Bradshaw, host of The Love Below on Radar Radio, to share his own selections of favourite albums; while CF’s youngest and most recent family member also shares his most listened to albums during his first 6 months on the planet. Jazz younguns BadBadNotGood are really into their stride now, releasing their fourth album, and arguably their tightest, most groove orientated to date, punctuated by two excellent soul belters, Time Moves Slow, featuring Samuel T. Herring and In Your Eyes, featuring Charlotte Day Wilson, and a superb hip hop cut with MC Mick Jenkins on Hyssop of Love (quickly followed by another excellent collab on Jenkins’ own LP). These guys have also been tearing up the live circuit this past year and we can’t wait to see what they’re cooking up next. 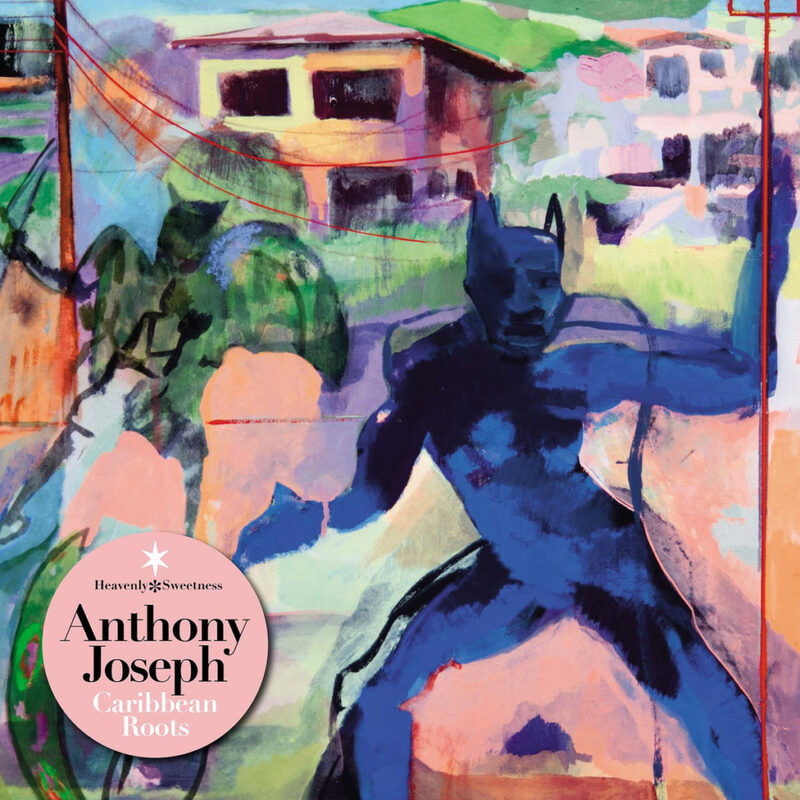 On arguably our favourite Anthony Joseph album to date, the British/Trinidadian poet, novelist, musician, singer and lecturer, explores cultural heritage of the Caribbean diaspora, from Port-au-Prince to Jamaica. All over a soundtrack of afro beat, calypso, and much more besides, aided and abetted by a stellar cast of musicians including Shabaka Hutchings (Sons of Kemet, The Comet is Coming), Jason Yarde (Jazz Jamaica All Stars), famed Trinidadian calypsonian David Rudder and steel pan master Andy Narell. Too many highlights, but Jimmy, Upon That Bridge, Mano A Mano, and Our History stood out to us on initial listens. Supported by The Steve Reid Foundation and now with a full LP released by Ninja Tune, drummer and percussionist Sarathy Korwar created spellbounding fusion of contemporary jazz built upon field recordings, primarily of the Sidi Troupe of Ratanpur in rural Gujarat, generally Sufi muslims descended from the Bantu of sub-Saharan Africa. Their chants and polyrhythms are a perfect base upon which Sarathy and his group, featuring Shabaka Hutchings on saxophone & clarinet, Cara Stacey on musical bows (from southern Africa), and Giuliano Modarelli on guitar can create magic, from the quiet storm on Bhajan to the riotous Mawra – Transcendence. 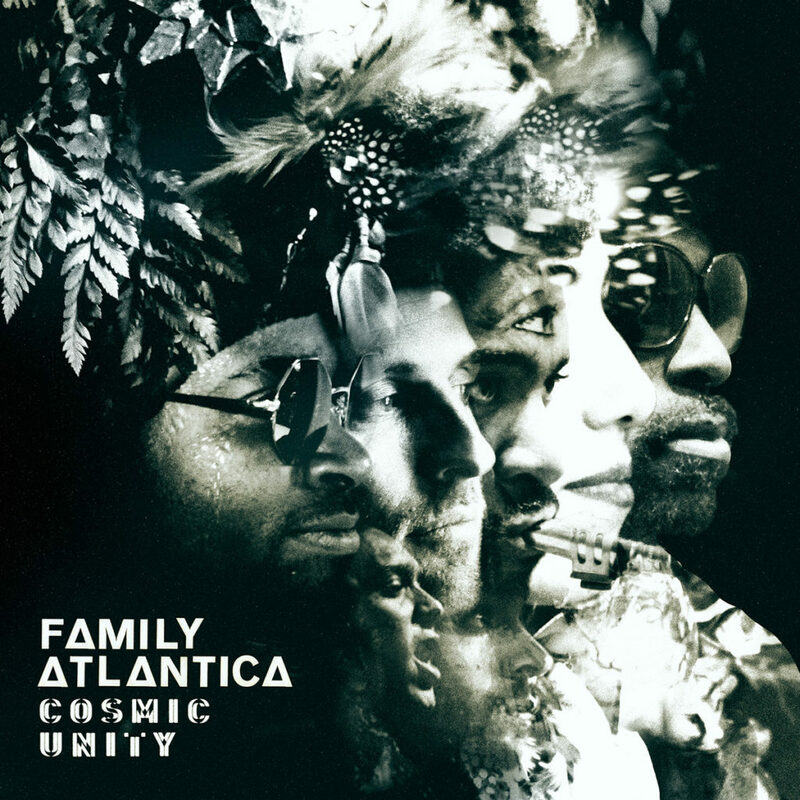 London based afro-Venezuelan band, Family Atlantica, follow up on their sprawling yet beautiful Soundway records debut with Cosmic Unity, a tighter, single-disc LP that presents a seemingly successful second attempt at connecting Venezuelan and Columbian rhythms with African funk, spiritual jazz and a touch of the Caribbean. Befitting the title, this time around the songs pack a much greater punch, have a stronger common feel and there is barely an unnecessary note. Highlights include Enjera, taking us to the Ethio jazz funk of the legendary Mulatu Astatke, who himself contributes to the title track, then there’s the beautiful Latin balladry of singer Luzmira Zerpa, laced with west African brass-led funk and Caribbean flair on La Humanidad, and of course, Okoroba, the fast-paced, brass-heavy and kalimba-led stomper that kicks off the LP. Another amazing year for Shabaka. Following Sons of Kemet’s sophomore LP last year, This year Hutchings has released an album with his The Comet Is Coming trio, and contributed to albums by artists such as Sarathy Korwar, Anthony Joseph and Ayetoro. But with this release on Brownswood, we get a proper taste at the prowess of one of the most talented and powerful young saxophonists as a composer and bandleader. 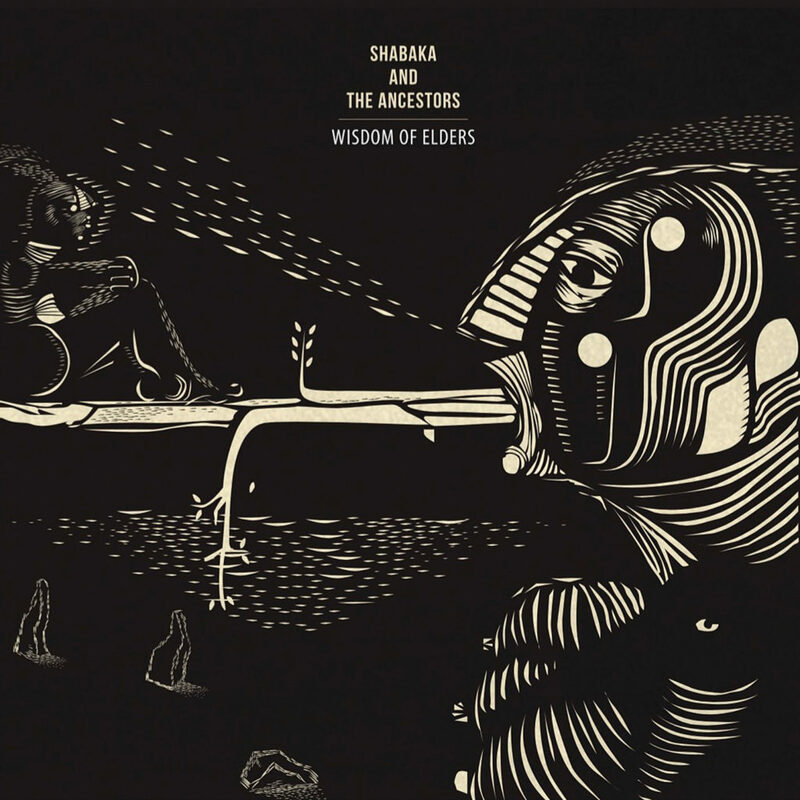 Recorded in Johannesburg, SA, with a who’s who of South African jazz musicians, Wisdom of Elders showcases Shabaka’s take on their wonderfully rich jazz heritage. Raw, powerful, and heavily spiritual, this is one to immerse yourself in fully, and listen through in one sitting. For a taste though, just listen to Joyous to get a feeling for the depth and spirit present here. One of our favourite discoveries of the year came in the form of this 10 track solo piano record by Duval Timothy. As its title implies, this album is all about applying the essence of the loop and utilizing that as the building block to creating something unique. Cuts such as Badman and Smoke Alarm give away more than just a hint of Duval’s hip hop influences. While Blue Borough and Hairs provide a slice of beauty to contrast the grittiness of the more head-nodding tracks. A timeless piece of music that we’ll surely be coming back to again and again. 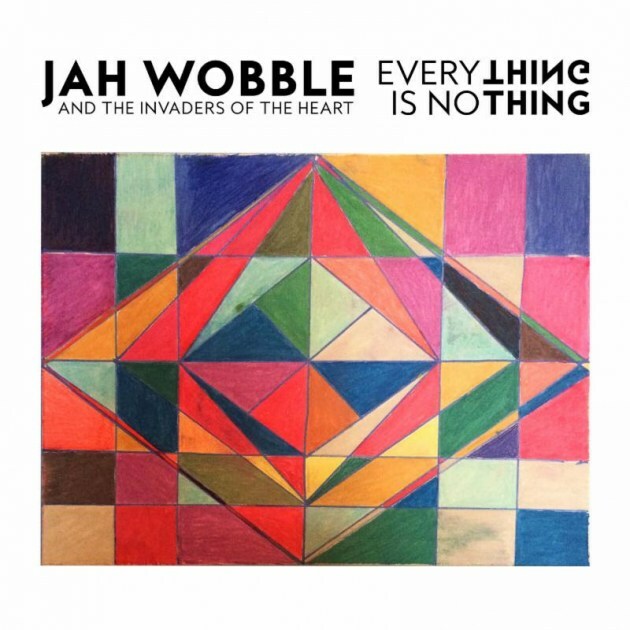 Without a doubt, one of the least talked about albums this past year, Everything is Nothing by legendary bassist Jah Wobble, sees the man reunite with his Invaders of the Heart supporting cast and provides us with 10 solid tracks that showcase all of Wobble’s influences with a decidedly jazz fusion approach. Some of our favorite cuts include the Tony Allen featuring Freedom Principle and We-Me; as well as the epic Cosmic Love. 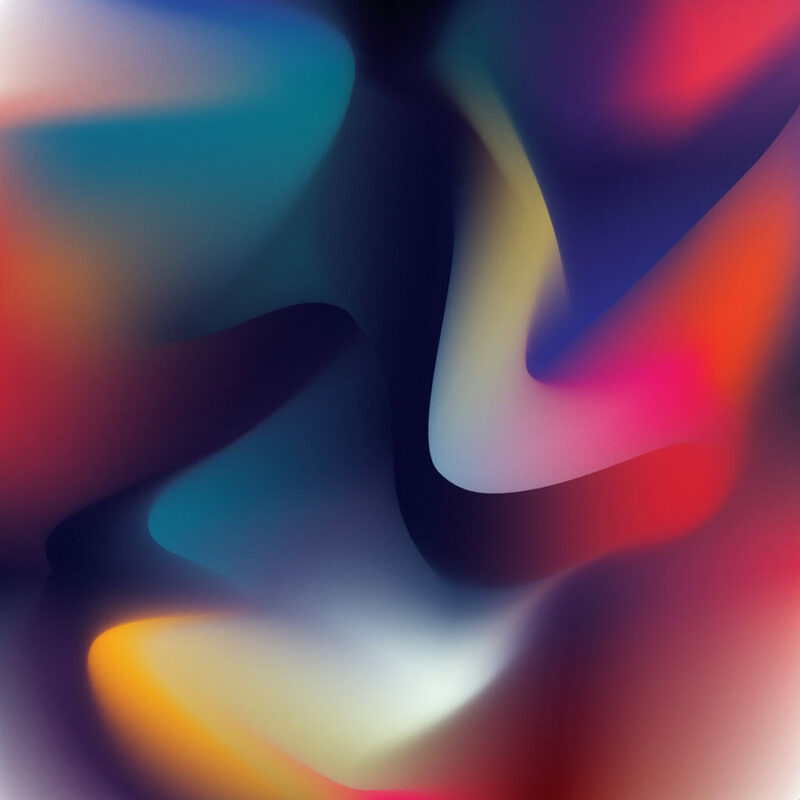 We’re also digging the artwork on this one, which features a painting by the multi-talented Wobble himself. 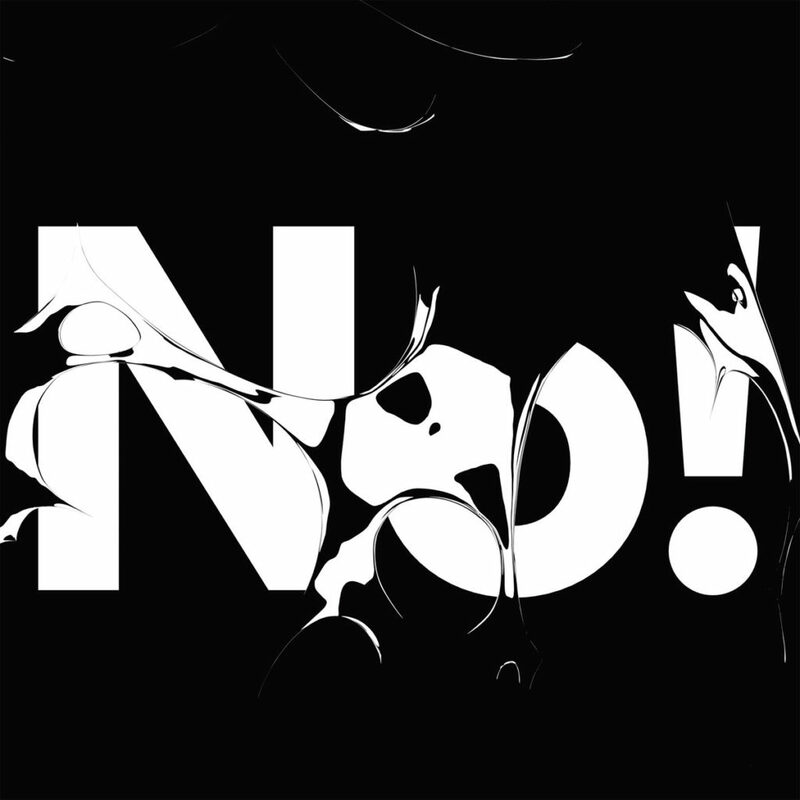 By far one of our favourite house related albums from last year, Uffe’s No! is a storming record that fuses the art of sampling with live instrumentation and provides a glimpse into the talented Danish producer’s musical influences. The best thing about the record is that it doesn’t stick to one style and instead provides us with a varied selection that ranges from dubbed-out, soul infused beats on Fridge Magnet to the more hectic Lesser Known Values which features a solo by Danish Radio Jazz Orchestra trombonist Steen Hansen. For more insight into Uffe’s early influences and future plans, check out our interview for Music Is My Sanctuary here. Arguably the best pop / crossover album of the year, with only Childish Gambino’s full length even close to touching this most unexpected masterpiece. Perhaps the best thing about this record is that it came out of nowhere, with no warning, and from an artist that was struggling to find her identity for such a long time. 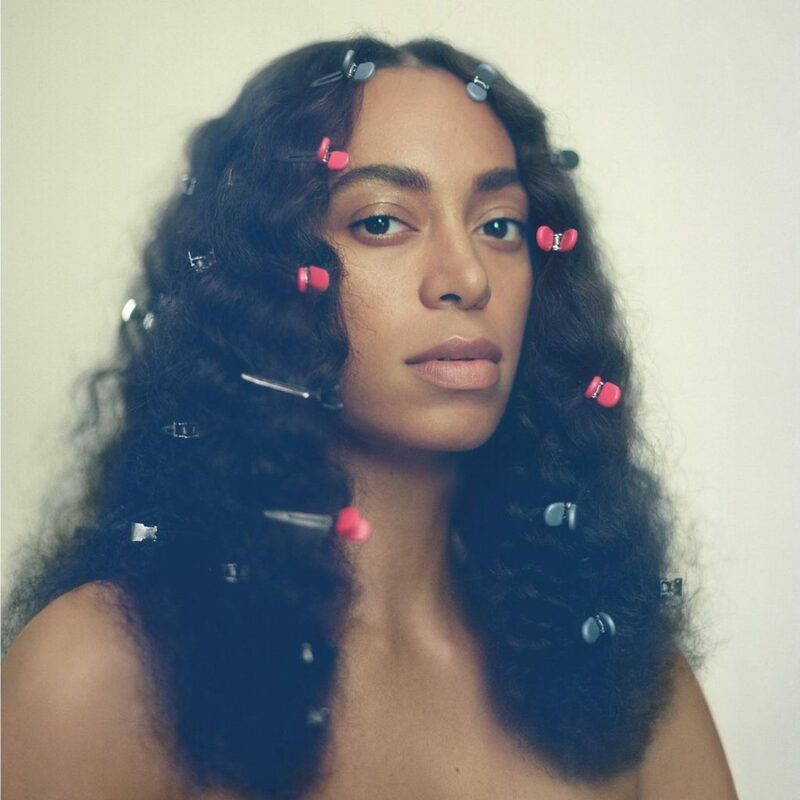 Enlisting the production talents of Raphael Saadiq and David Longstreth of Dirty Projectors fame; Solange delivered a perfect concept album full of interesting music and poignant lyrics, while seamlessly collaborating with the likes of Sampha, Kelela, BJ The Chicago Kid, The-Dream, and even Q-Tip. Hard to pick a favourite from this one, but safe to say F.U.B.U. provided some of the hardest head-nods of the year. Carlos Niño & Friends – Flutes, Echoes, It’s All Happening! Producer, percussionist, radio presenter, and new age hero Carlos Niño resurrected his & Friends project to stunning effect. As expected, Niño recruits some of California’s most talented musicians including the likes of Madlib, Dexter Story, Kamasi Washington, and Iasos. But perhaps the best thing about this great album is that it reminded us to check Carlos’ extensive discography and many excellent projects. The LPs beautiful artwork by Jesse Moretti is also worth having the record for alone. 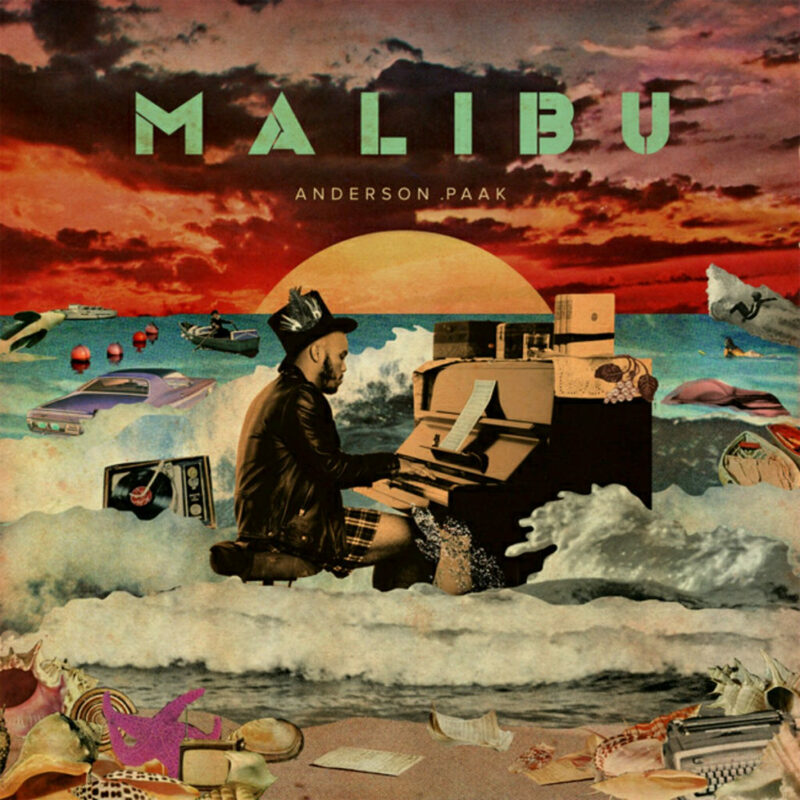 There’s probably nothing more to say about the magnificent rise of Anderson .Paak that hasn’t already been said. It’s not every year an artist can release two full lengths to such critical acclaim, and while his collaboration with Knxwledge on Stones Throw rendered rather excellent results, it’s on Malibu that the drummer, singer, and rapper shines at his absolute best. If somehow you’re still not sold on the man’s many qualities, we suggest you check out his amazing Tiny Desk Concert on NPR here. Italian duo Lucio Aquilina and Massimo Di Lena have been making music together for a while, but it’s with their Nu Guinea alias that the pair have hit their stride. This mini-album, co-released by Comet Records out of Paris and Nu Guinea’s own Early Sounds Recordings out of Berlin, is a project based around unused recordings of the legendary Tony Allen on drums; where instead of doing the obvious and turning out afrobeat re-works, the pair have boldly explored Allen’s rhythms to create a brilliant collection of boogie and jazz funk cuts for the most discerning dancefloors. 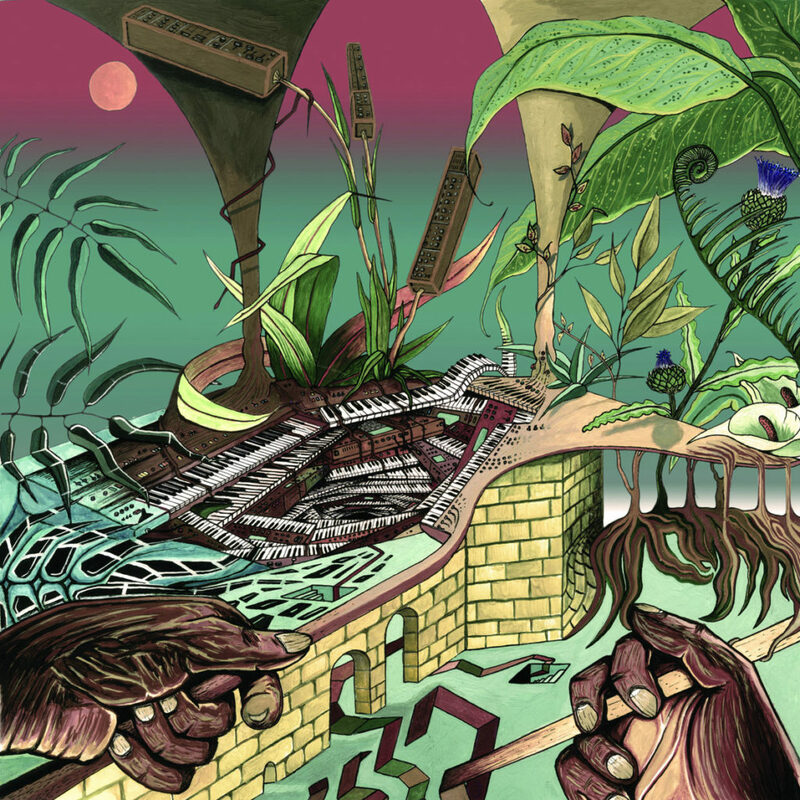 Legendary Brazilian jazz funk masters Azymuth are at it again with their first album since 2011’s Aurora and most importantly since the untimely departure of Jose Roberto Bertrami in 2012. Produced by Daniel Maunick, whom we interviewed a few years ago for CF, Fênix signals the rebirth of the trio with the addition of Kiko Continentino on keyboards, tagging alongside figureheads Ivan ‘Mamão’ Conti and Alex Malheiros. The result is stunning, with cuts like Papa Samba and Orange Clouds reminding us of the band’s finest moments. 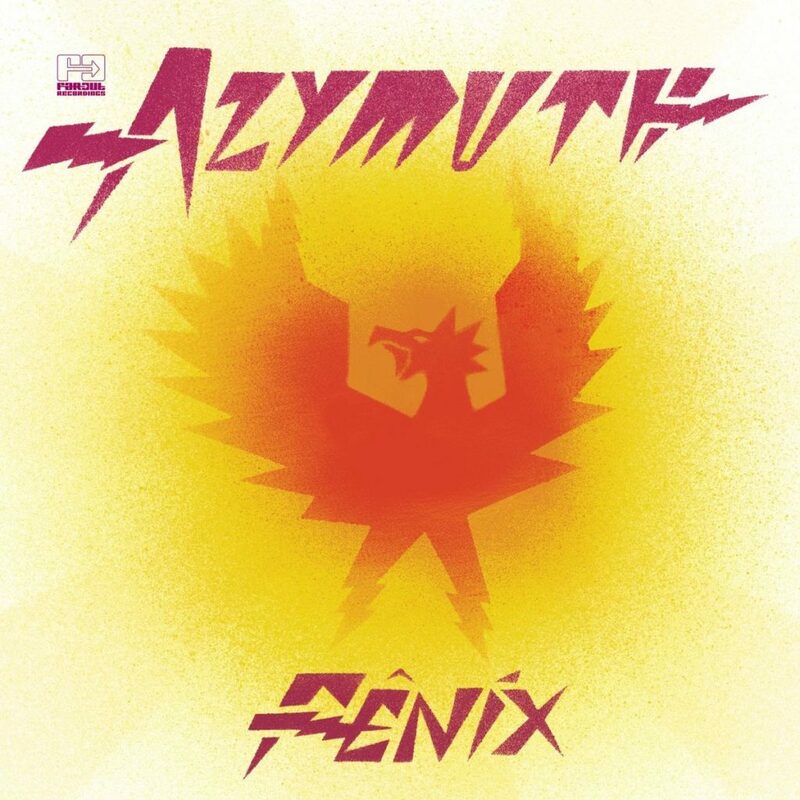 Long live Azymuth! Some of us here have literally grown up listening to the Tribe from Queens, NY, so it was with great anticipation that we met news of this final album and their first for 16 years. The result did not and could never disappoint, despite the sad loss of Phife during its creation. Music, lyrics, vibes, topics – many of which reflect on the recent political turmoil, and guests – from extended family members Consequence and Busta Rhymes to 3 Stacks and K.Dot, are all on point. Yes it’s the same old Tribe, but more united than they’ve been for almost two decades, inspired and driven by current events and with some extra musical grit that opens them up to Black Sabbath samples and Jack White guitar licks. 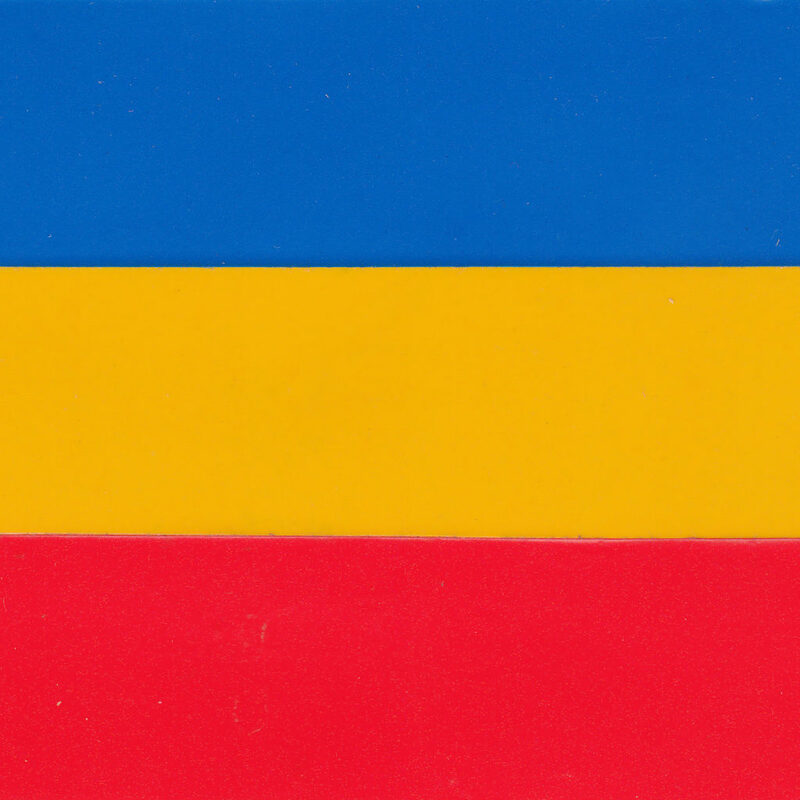 If you haven’t copped it or listened yet, don’t sleep a moment more, or sample the call-to-action of We The People…. or the better-than-we-expected Jack White collab, Ego. Hip hop album of the year. No contest. 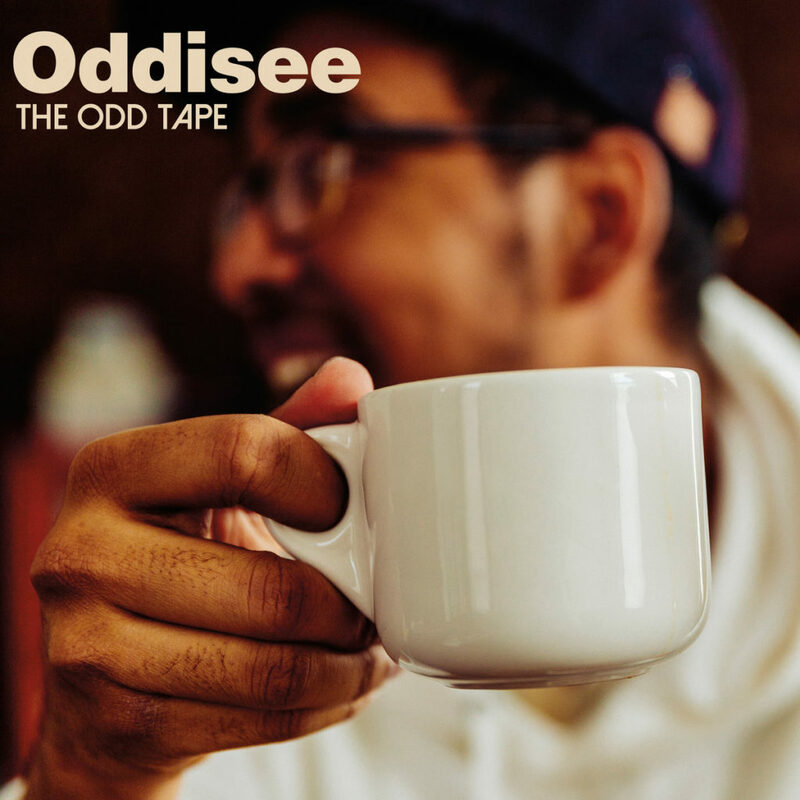 Talking of hip hop, beat tape of the year could only go to The Odd Tape, from multi-talented MC & beatmaker Oddisee. The man has produced beats for his own songs, and for the likes of Jazzy Jeff, Little Brother and J-Live, whilst steadily building up an impressive career as grade-A MC & performer, but on The Odd Tape, relieved of the constraints of building a track for a vocal to set upon, Oddisee’s talents are let loose. The music is saturated in soul, and of course hip hop, but the jazz is strong too, and tempos aren’t limited to head nodders like Right Side of the Bed, as can be heard on Live from the Drawing Board and On the Table. It’s been a great year for Oddisee, as this beat tape followed an excellent vocal EP by the name of Alwasta, earlier this year, and there might just be another full length vocal album round the corner. He’s had prolific 2016 which saw him feature on projects from A Tribe Called Quest, Kaytranada and Schoolboy Q (as well as releasing another album under his NxWorries moniker with beat maker Knxwledge) but Malibu still sounds as fresh as it did back in January. 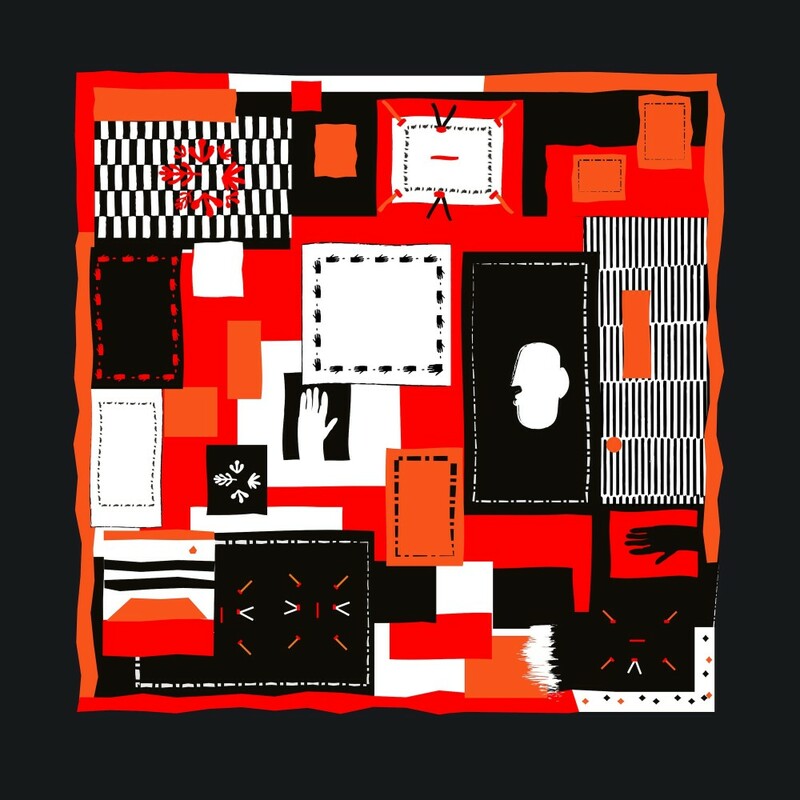 Paak effortlessly skates between hip-hop, soul, funk and jazz with production help from 9th Wonder, Kaytranada, Madlib and live instrumentation from his in-house band The Free Nationals. Picking up where 2014’s ‘Music For The Unvited’ left off Vynehall came some way in cracking the formula for a deep house long-player. Long builds, delicate piano licks and astute drum-programming that is perfect for home-listening and the dancefloor in equal measure. After a collaboration with Ghostface Killah, the Canadian trio’s sophomore album sees them further experiment in the space between jazz, soul, hip-hop and electronica to satisfying effect. 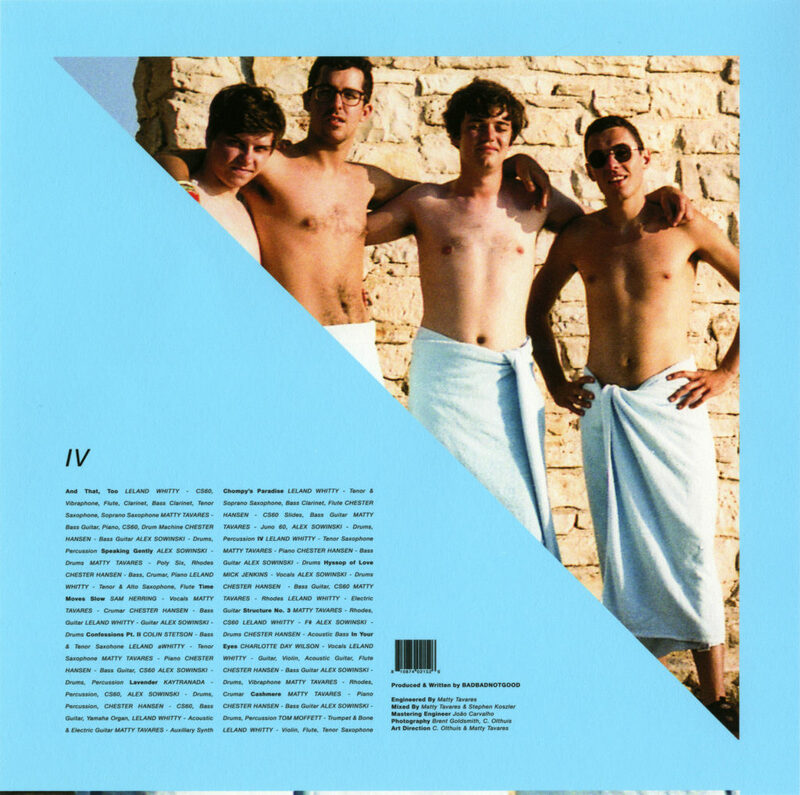 From the prog-rock textures of the Kaytranada collaboration ‘Lavender’ to the standout vocal cuts featuring Mick Jenkins (‘Hyssop Of Love’) and Charlotte Day Wilson (‘In Your Eye’s), IV is a refreshing take on contemporary jazz. For her second album, Jessy Lanza serves up a slice of unpretentious electronica that packs a punch on the production side with Junior Boys’ Jeremy Greenspan on the boards. The Hyperdub songstress deftly balances uptempo dance tracks with sultry downtempo numbers that sees Lanza refine her sonic style even further. This band first caught my attention last year with their colourful ‘Window Pane’ single on Stones Throw and now return to the label with an album full of prog-rock indebted synthesisers, bass licks and hazy vocals. Whilst only 30 minutes in length they coast through a psychedelic jam session that will leave you in a state of melancholic bliss. Championed by the likes of Mick Jenkins and Chance The Rapper, Chicago’s NoName debut mixtape is nuanced soulful hip-hop at its very best. She tenderly raps over harmonious and playful beats whilst telling intimate stories in her spoken word style effortlessly, definitely one of the brightest talents to keep an eye on in 2017. The Studio Barnhus affiliate steps up to the album format to continue his run of eccentric house and disco releases. A mix of both up-tempo party starters and melancholic after hours cuts make for an accomplished long player from a rising star who feels like he’s only scratching the surface of his talent. In 2015 Strut released the outstanding Pat Thomas & Kwashibu Area Band album and followed on in 2016 with a retrospective covering the early work of one Ghana’s most revered Highlife vocalists. A frequent collaborator of Ebo Taylor and known to many as ‘The Golden Voice of Africa’ this is a solid introduction to the roots of Ghanian afrobeat and highlife from one of its most influential singers. A duo that wear their musical influences very much on their sleeve deliver 10 tracks of expertly crafted dance music. Touching upon all the key reference points from New York house (’Aska’) to Scandinavian disco (’Nordo’), this album aims to re-create all the the best parts of a long night spent on the dancefloor. Having never listened to Childish Gambino’s music I decided to give his new album a spin after watching his much acclaimed series, Atlanta. Trading his rap musings for off-kilter singing, he channels the funk of George Clinton (who he samples on ‘Riot)’ and pays homage to the past, but without losing sight of the future. To close out proceedings we wanted to introduce a new category of music worth sharing. Inspired by music selections for the youngest in the CF family. 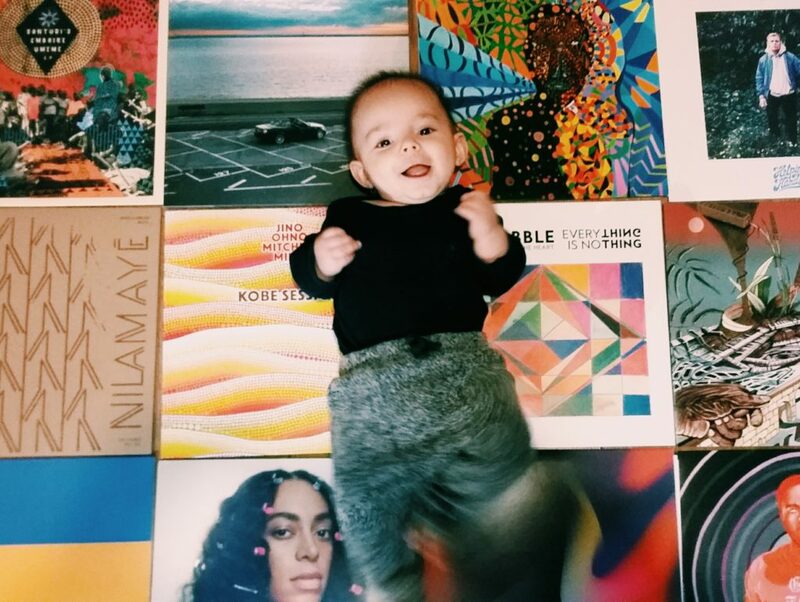 These are some of the albums we played for him the most during his first 6 months on earth. If you’re looking for more music for children, check out this spotify playlist which we are constantly updating.